Every year, Luxembourg hosts one of the most awaited cultural events of the year: the International Bazaar and its 28,000 visitors, 60 stands and more, run by more than 1,500 volunteers representing the communities present in the Grand Duchy of Luxembourg. The objective? Sell typical products to raise funds to finance social and humanitarian projects. Last year 600,000 euros were raised and donated to more than 75 charities! The 58th”Bazar International” will take place Saturday 8 December and Sunday 9 December 2018 at Luxexpo The Box in Kirchberg district with 61 stands et 18 tombolas! Following a big political change about welcoming foreigners in Luxembourg, the number of foreign residents has not stopped growing since 1960. 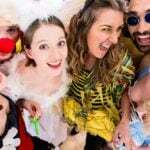 Small fairs organised by the Church have become a significant event: the International Bazaar, whose purpose has always been to raise funds for charity. Over the years the creative energy of this event has generated a real sense of multiculturalism: more and more volunteers and residents of all nationalities take part in this event making the Bazar an occasion where cultural diversity has not stopped growing over the years. After starting with 8 stands from different nationalities in 1963, the International Bazaar now brings together over 60 nationalities with the aim of sharing their culture, local specialties and crafts. 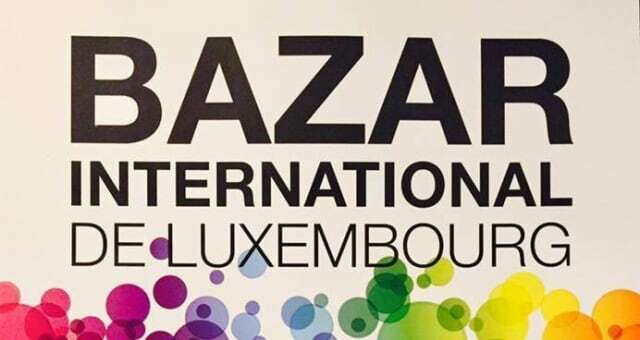 According to the organisers the Bazar “provides the opportunity to discover new cultures without leaving Luxembourg”. During your visit, you will see many colours, listen to music and taste different specialties. This is how our Italian JAA Club ambassador sees Luxembourg: “enriched by the mix of local culture with that of the foreigners living in the country. It is a country where everyone benefits from the cultural richness of others”. Do you want to know the stands participating in the International Bazaar? Consult the JAA Club’s community pages, many of them are participating.